Creating a Frozen party atmosphere is an easy one to pull off if you stick with a couple of frosty colours and you've got some Winter Wonderland decorations (leftover from Christmas) that you can dig out of your loft. Easy icy colours to team together are blue, white and/or silver. See if you've got any tinsel from Christmas in your chosen colours, even a Christmas tree coordinated in baubles in your colour theme would look in-keeping. 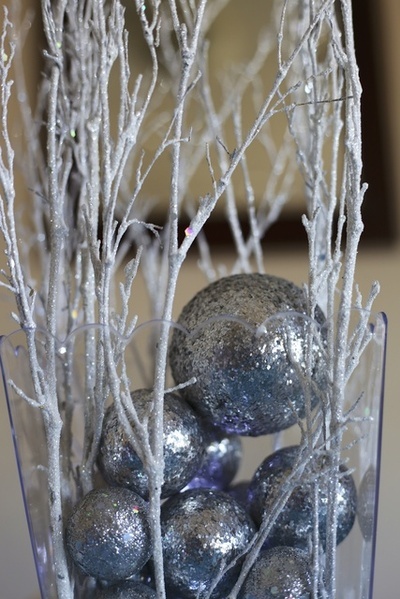 Another idea is to grab some twigs from the garden and spray some blue and some silver and arrange these around your party room. You could even hang snow flakes or ribbons from them. Colour coordinated balloons can also help to fill an empty space. For some home made touches consider blue and white tissue flowers and coordinating paper chains. Kids love getting involved in creating special party decorations. 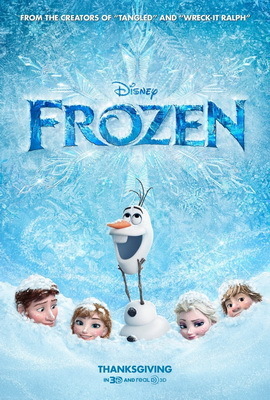 Frozen musical statutes. You can pop the Frozen soundtrack on and tell your guests that when the music stops, then they have to pretend they've been frozen in ice. First child to move has to sit out until there's only one child left. Pin the nose on Olaf. Similar to pin the tail on the donkey, you just need to prepare an extra large Olaf, and the free printable below will assist you with this. Pass the parcel (with blue and white snowflake paper) with snow flake glitter between each layer. Decorate your own snowflake. There are a myriad of snowflake crafts available using glitter, pipe cleaners and some imagination. This is an easy craft station to create. For a colouring in station, check out the range of free printables such as the one included in the link below. Sven reindeer biscuits - cookies cut out using Christmas cookie cutters. Popcorn sprinkled with edible blue glitter. 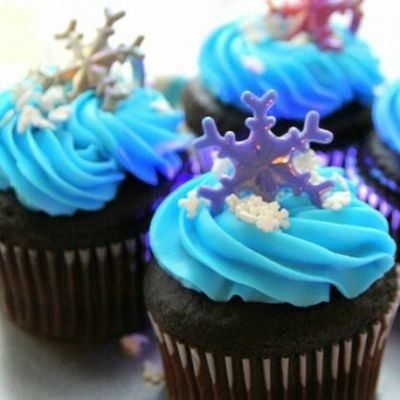 Cupcakes covered in blue or white icing and topped with a snowflake. Food cut into the shape of a star. Snowmen made out of marshmallows. Frozen popsicles - you could just use fruit juice with a couple of drops of natural blue food colouring in them. 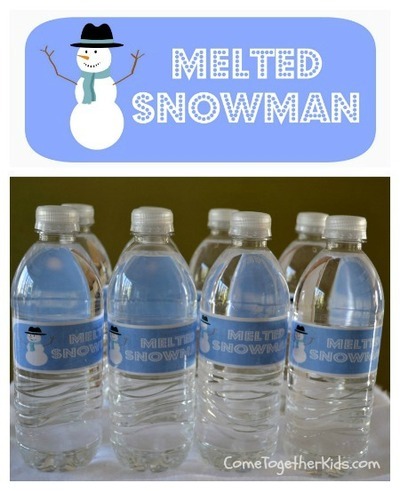 Melted snowman bottle labels from Come Together Kids. Olaf printable from Disney Clips for pin the nose on Olaf.